When one of Nick Metzger’s best friends asked him to help with his property preservation company, he jumped at the chance. He loved being outdoors and wanted a little extra money but at the time didn’t realize that it would ultimately lead him to start his own business. After learning the ins and outs of the landscaping business, Nick started Southern Cuts and hasn’t looked back. Nick and his crew service pretty much all of Henry County including McDonough, Stockbridge, Hampton, and Locust Grove. They also service parts of Fayette County, Rockdale County, and Clayton County including Fayetteville, Conyers, Jonesboro, & Ellenwood. They even take some large jobs and mow lawns in Alpharetta, Georgia and have done some full landscaping in Johns Creek, Georgia. Southern Cuts is responsible for servicing over 100 homeowners and even has a few commercial properties. One of his favorite properties is the Southern Korean Baptist Church on North Main Street. 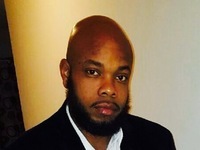 He is very meticulous with his service and loves seeing a property. If you are needing lawn mowing in Marietta Ga, I also cut grass there and mow lawns in Decatur Ga as well. Southern Cuts offers your full landscape design but will also handle your pressure washing, gutter cleaning, seasonal clean ups, sod, mulch, aeration, pine straw, over seeding, and bush and shrub pruning. Nick also enjoys spending time with his girlfriend, Savannah. The two frequently dine at the Mystic Grill and World of Wings in Covington. Homeowners in need of a regular mow, edge, and blow or needing a full lawn makeover, let Nick and his crew at Southern Cuts get your lawn back in golf course shape. Being a public servant all his life, Dennis Blake has always had a strong connection with helping and serving people. This retired New Jersey Police officer and volunteer fireman needed to move to a warmer climate so he decided to move to Dacula, Georgia. When he first moved to Dacula, he noticed that he was not able to get consistent, high quality lawn care. "I tried to find someone to mow my lawn but couldn’t find anyone that had the attention to detail like I wanted it," Dennis replied. "After 2 years of this, I knew that I could do a better job myself so I bought some professional equipment and never looked back." So in 2014, All Trimmed Up Landscaping was born. He has now lived in the area for over 6 years and doesn’t miss the northern weather. "I am able to be outside more and do what I love," Blake says. "I am here in Dacula, Georgia to stay." Dennis services all of Gwinnett County including Lawrenceville, Snellville, Lilburn, Norcross, Suwanee, and Buford. Blake and his crew service many homes in the Del Mar and Wolf Creek neighborhoods in Dacula. He also services a few properties in DeKalb County and Hall County and will also mow lawns in Johns Creek. He occasionally cuts lawns in Marietta, Georgia. Dennis has grown his customer base to over 100 residential properties and is currently looking for commercial properties as well. If you are needing lawn care service in Marietta Ga or yard mowing in Decatur Ga All Trimmed is the service for you. He provides lawn care services over a wide footprint in the greater ATL area. He attributes a few things to his success: Going above and beyond for his customers and paying attention to every detail. "I will not put the key in my ignition until the homeowner is happy and there is nothing I can do to make the property look better," Blake says. "I will treat your lawn like its mine every time I mow and my standards are very very high." Dennis will also give the homeowner any recommendations for improving the appearance of their lawn. "Most lawn care pros will try to up sell their homeowners but If I know its something they can do on their own to save them money, I will tell them exactly how to do it," Dennis explains. "That is how you earn trust. It's not all about making money." Other than your standard lawn mowing, All Trimmed will take care of mulch, low level tree trimming, shrub and bush trimming, pine straw, gutter cleaning and pressure washing. Dennis has a 48" Ferris mower and also a 36" Exmark mower for those fenced in properties. Dennis loves serving and helping people and that is what drew him to this industry. "Being a former police officer, I was able to help and make an impact," Blake explains. "I like to think I am still helping people make their lawns look great." When he is not out mowing, Dennis loves nature. You can find him at any of Gwinnett County Parks including Mulberry Park, Rabbit Hill Park, and Harbin's Park. He also loves spending time with his fiancée, Dawn, and his son, Todd. Todd also helps Dennis with the day-today operations of the business. Dennis and Dawn love to frequent Longhorn Steakhouse in Buford and also Fernando's Mexican Restaurant off Dacula Road. The next time your lawn is needing to be rescued, let Dennis and his crew protect against any of your lawn blemishes. Chris Hartzler has been a salesman all his life. From Insurance to radio and television advertising, he knew that the life on the road was something that would soon come to an end when his son was born. Before deciding that he wanted to home more and see his son grow up, he decided to go in business for himself. Having done lawn care in the late nineties, he knew that lawn care was something that he could start again and be home in the evenings. This is why and how Just Ask Chris was started. Growing up in Topeka, Kansas, Chris and his wife have now lived in Lawrenceville, Georgia, since 2008. 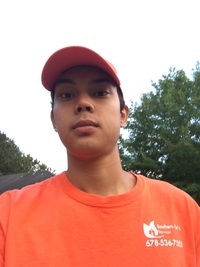 Chris and his crews service most of Gwinnett County including cutting grass in Johns Creek, Lilburn, Duluth, Norcross, Dunwoody, Johns Creek, Suwanee, and also mow lawns in Alpharetta. "We service a 30 mile radius of Lawrenceville and would love to expand our business to Atlanta," Chris says. Hartzler has amassed a Rolodex of over 200 satisfied customers and wants to keep growing. When asked what has led to this growth, he replied, "We personalize every lawn to what the customers wants." Chris adds, "We will leave each homeowner a personalized note on their door letting them know if we notice something that needs to be done on the property. This type of proactive maintenance helps us earn trust with each and every homeowner even if it's something that we are not able to do." Chris' love for being outside makes the landscaping industry more of a passion than a job. "For 16 years, I lived in a hotel and my car was my office. I am most relaxed when I am outside in the sun," Chris states. "There is nothing better than seeing the sun shine and the scenery changing on a daily basis." Also if you are wanting lawn cutting in Alpharetta Georgia or also lawn mowing services in Decatur GA GreenPal has some other great lawn care services in those parts of the greater ATL area as well. Chris and his crew not only handle your regular lawn care needs but they also do mulching, sodding, fertilization, pressure washing, deck building, gutter cleaning, aeration, over seeding, leaf cleanups, and also can do your interior home maintenance. 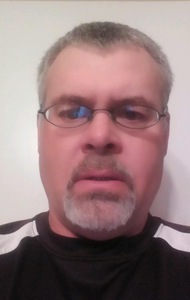 When his is not out building his lawn empire, you can find Chris coaching his 12 year old daughters softball team. They travel almost every weekend and he finds that time to bond with his daughter very special. "Hunting and fishing used to be my past times, but coaching my daughter is my new hobby," Chris laughs. Chris and his wife, Lisa, have a 21 year old son as well. Lisa helps Chris with the day to day operation of the company including maintaining the website, scheduling appointments, invoicing, and billing. Chris, a self-proclaimed beer connoisseur, loves grabbing a hot dog at Empire State Pizza & Dogs on five Forks Trickum Road in Lawrenceville. Next time any work is needed to be performed inside of outside, Just Ask Chris. Not in Johns Creek, GA? 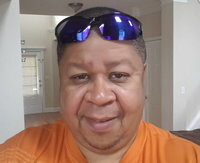 Hello and welcome to the online ordering page for lawn care services in John's Creek Georgia. John's Creek is booming with over 100,000 residents and is the 13th highest earning city in the country which one reason why GreenPal extended it's online lawn care service to John's Creek Georgia last year . I imagine the reason you’re here is because you are needing your lawn mowed right? Well you have come to the right place. When we extended our lawn care services to John's Creek, GA last year we set out to interview the top 10 best lawn care services that mow yards and cut grass in John's Creek but also the surrounding areas such as Duluth, Norcross, and Suwanee GA. The method we use we find the best lawn care services in Johns Creek is through our vetting process, first we sit down and interview each one to make sure they can mow lawns in a professional manner, next we check over their lawn mowing equipment and commercial lawn mower to make sure it is a professional grade, and after all that we observe them mowing a yard in John's Creek and make sure that they perform the lawn services in a detailed manner including edging the grass, blowing off of the driveway, trimming off grass around trees, edging the landscape beds and mulch, and making sure there is no grass clippings left over the lawn, as nothing is worse that an clumpy lawn right ? The affluent neighborhoods in Johns Creek demand a detailed level of lawn care service and yard maintenance. After the Lawn Mowing services in Johns Creek, Norcross, and Suwanee, GA pass all of those Quality requirements for lawn care services we then set them up on the GreenPal system and enable you to hire them at your fingertips for your lawn mowing and yard maintenance word that you need for your home in John's Creek. Are you needing lawn care serivce in Alpharetta GA? No problem, we have also foung great yard mowing services there and lawn mowing companies in Marietta GA as well. The best lawn care businesses in the John's Creek area nearby typically tend to be smaller detail oriented owner operators mowing yards by themselves or with one helper, but the problem has always been how do you find these quality oriented lawn mowing services in John's Creek and get them to return your phone call? You see them busy mowing yards in Fulton County , driving up and down State Bridge Road and Peachtree Industrial Blvd mowing lawns. Well that is the problem we have set out to solve now you can easily order lawn care service directly from them without even placing a phone call and the best part is you'll get five or six free lawnmowing quotes directly sent to your cell phone and email inbox where you can read the reviews compare their pricing for your lawn cutting and hire the best fit for you and they compete over your lawn mowing and grass cutting. So whether you live in John's Creek Ga, Lawrenceville Suwanee or Norcross the best lawn care services are right here at your fingertips to order from this website or from our mobile app and take a break this weekend and let a pro do your lawn cutting for you in John's Creek Georgia..
Johns Creek is a city located in Fulton County in the U.S. state of Georgia. Some trading posts gradually became crossroads communities where pioneer families – Rogers, McGinnis, Findley, Buice, Cowart, Medlock and others – gathered to visit and sell their crops. By 1820, the community of Sheltonville (now known as Shakerag) was a ferry crossing site, with the McGinnis Ferry and Rogers Ferry carrying people and livestock across the river for a small fee. Further south, the Nesbit Ferry did the same near another crossroads community known as Newtown. The City Council consists of a mayor and six council members who are elected at large, and serve four-year terms. Elections are staggered every two years. The effort to launch the city government was expedited by hiring CH2M Hill-OMI, a global, Colorado-based consulting firm that provided most day-to-day municipal services (except for police and fire) for the first three years of cityhood. Hello. This is a property we're looking to sell and will continue bi-weekly mowings until it sells. Right now just need front yard mowing. Perhaps backyard in a couple/few weeks if house is still on market. Thanks. Want someone who can also haul away shingles to a 10x12 room. The repair was done and I was planning on doing this but it kept raining. Now I can't get my mower started. double gate Trim bushes as needed Do you do any weed control?